New Bullitt Mustang Headed to Barrett-Jackson? 2018 Ford Mustang GT PP2 Review – Packed With Performance, Too? Ford Mustang EcoBoost Performance Review: How Are the Warranty-Approved Performance Parts? What Will Happen To The Ford GT Race Car After 2019? Another Mustang prototype has been spotted on the prowl, leaving us with more questions than answers. Notably, this is the second Mustang in as many weeks to be spotted wearing camouflage covers over all four wheels, however, a peek through the cover seems to indicate this mule isn’t hiding a set of carbon-ceramic brake rotors. 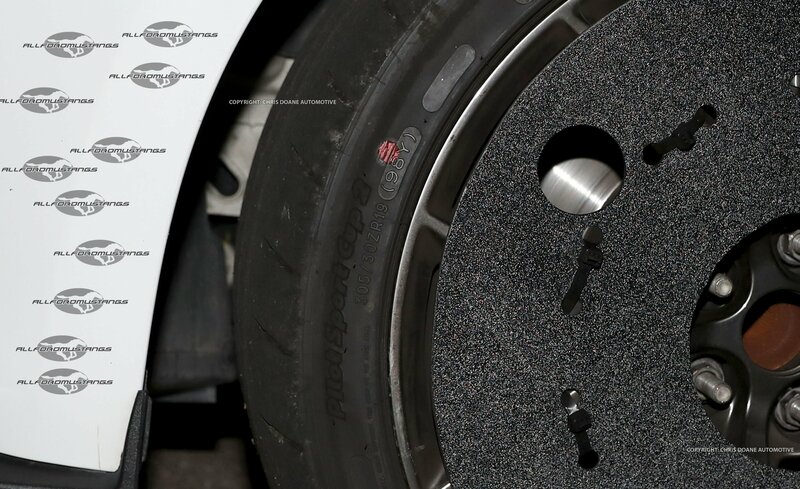 Instead, it’s possible the wheel covers are concealing a set of floating rotors originally developed for the GT350. You’ll also notice the mule is rolling on a set of 305-section Michelin Pilot Sport Cup 2 tires, wrapping 19-inch wheels on all four corners, confusing the sharpshooters. 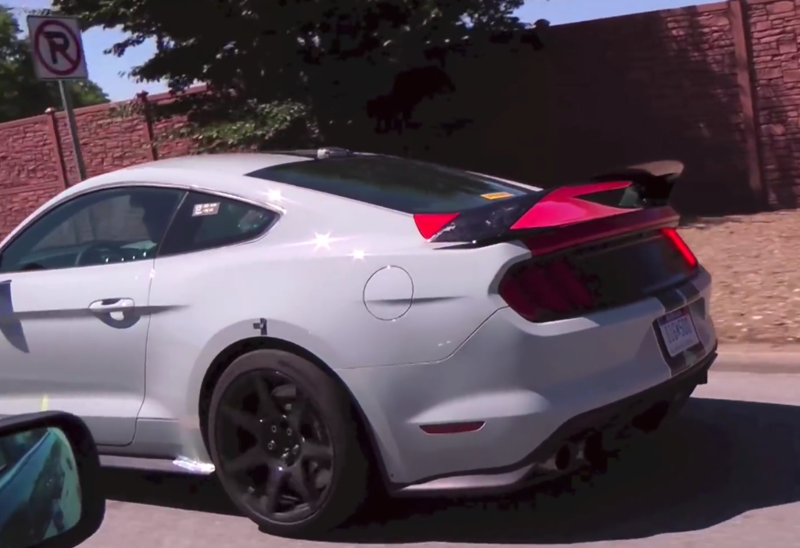 Previously, a GT500 mule was spotted with 305-section Michelin Pilot Sport 4S front tires and 20-inch rims, along with what appeared to be 315-section rears, a setup nearly identical to the GT350R’s. We can probably rule this mule out as a GT Performance Pack prototype, as Ford has already announced the 2018 GT Performance Pack will use Pilot Sport 4S tires, not the SC2s seen here. Allegedly, what we’re actually looking at is an early development mule for another high-performance Mustang expected to slot between the GT Performance Package and the Shelbys. It’s believed Ford is looking to revive either the Boss 302 or Mach 1 nameplates. 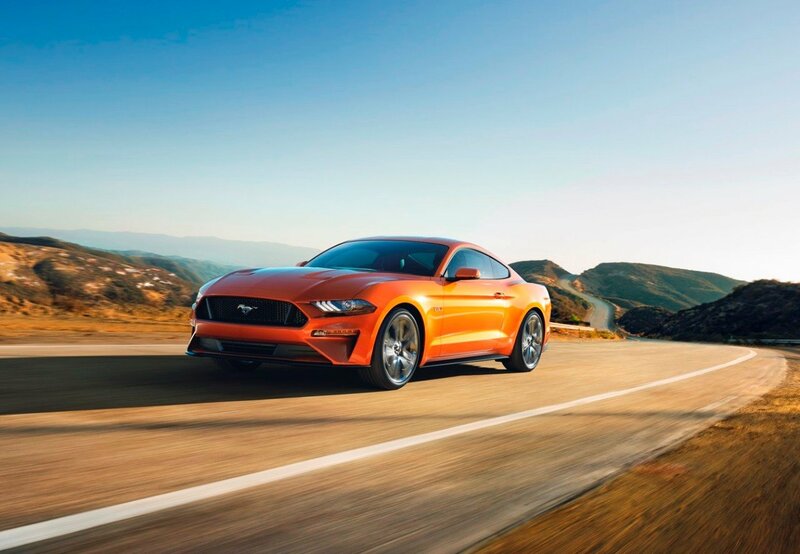 When the 2018 Mustang debuted in January, a 2012 Boss 302 was inexplicably photobombing one of the CGI interior pictures. On the other hand, Ford randomly displayed an original Mach 1 alongside the new Mustang at this year’s Chicago Auto Show, which many also took as a sign of future intent. The Boss 302 hasn’t been seen since 2013, while the Mach 1 has been missing since 2004. Whatever name Ford chooses, expect to see it officially debut sometime next year as a 2019 model, coinciding with the 50th birthdays of both the Boss 302 and Mach 1. Is Ford Working on Two Hot New Mustangs? © 2015 VerticalScope, Inc. All rights reserved.